The BFS Awards longlist has been posted–I was mightily pleased to see my Chinese horror tale “Golden Lilies” (published in the August 2009 Fantasy Magazine) in the short story category. In Servant of the Underworld, Aliette de Bodard has created a rather good debut novel, replete with magic, blood, and complex worldbuilding. There was a great deal to enjoy in this book, not all of it the immediately obvious. (…)for those who enjoy mythology, subtle horror, and even “detective” stories, Servant of the Underworld blends these elements into a unique story. 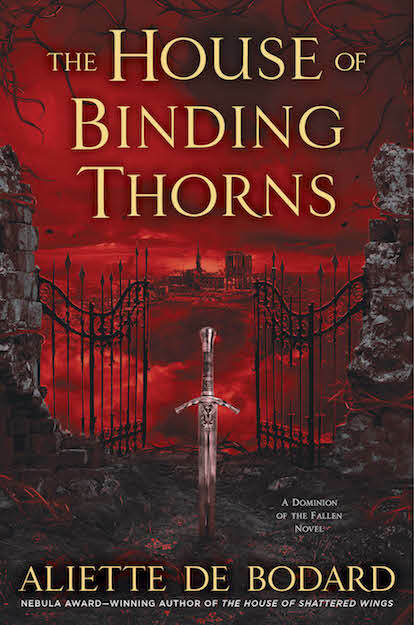 Fortunately, it’s labeled the first book in the Obsidian and Blood series, so hopefully we’ll be seeing Bodard’s next release soon. Looks like book 2 is called Harbinger of the Storm. Sounds…peaceful. (…)those looking for something truly different could do much worse than check out this novel. 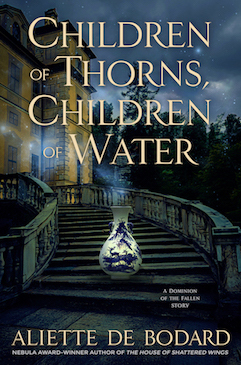 Whilst not perfect, Aliette de Bodard’s debut shows a great deal of potential which could be better realised in the inevitable sequels. -The book also gets mentioned over at SF Signal as part of the “What Book Have You Recently Read That’s Good Enough To Recommend To a Friend?” discussion. Aliette de Bodard looks to China to create an alien society, alien cultures and technology – a world in which China is on a par, or better, with Western Christian society. For my money, I’d rather see Earth cultures used as inspiration to create truly alien societies, as that is true SF – but failing this, I’d much rather see the creative efforts as put in by de Bodard. -Fellow VDer Stephen Gaskell‘s “Aequestria” is in the current issue of Interzone: a neat SF take on colonisation, with a nice twist at the end (and gorgeous, full-colour artwork by Jim Burns). Fantasy Magazine‘s interview of me is up here. If you want to learn about golden lilies, Chinese ghosts and why Aztec mythology is fun, this is the place to go. Thanks to Rae Bryant for the spotlight! My short story “Golden Lilies” is up at Fantasy Magazine. For those of you who prefer their fiction in audio form, it’s also available as a podcast read by the talented M.K. Hobson (who does a truly awesome job).